Weldon Read Oliver was born on 28 July 1904 in Lockport, Niagara County, New York. He married Glenna Lowella Treichler on 22 June 1935. 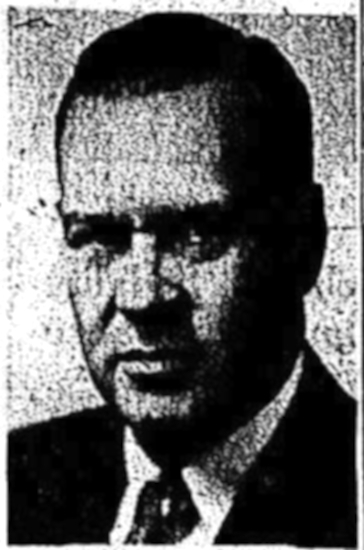 The following appeared on 2 March 1942 in the Lockport Union-Sun & Journal: Fred R. Oliver passed away at his home, 573 East avenue early Monday morning, March 2, 1942. He is survived by his wife, Blene R., two sons Donald L. of Lockport, Weldon R. of Niagara Falls, N. Y., five grandchildren, two great grandchildren, two sisters the Misses Harriet and Grace Oliver and one brother Eugene C. Oliver of Niagara Falls, N. Y. Friends may call at the home until Wednesday morning. Requiem will be celebrated at All Saints Chapel Wednesday morning, March 4 at 10 o'clock and Burial Office will be read at 2:30. Interment in Cold Springs cemetery. The following appeared on 12 June 1959 in the Niagara Falls Gazette: Funeral services will be held at 3 p.m. today at the Cornell and Dagett Funeral Chapel for Miss Grace E. Oliver, 81, of 210 81st St. The Rev. H. Myron Braun will officiate. Miss Oliver, aunt of Weldon R. Oliver, Niagara Falls superintendent of schools, died Wednesday (June 10, 1959). A native of Lockport, Miss Oliver moved to Niagara Falls with her family in 1900. She made her home here since. Miss Oliver was employed as a corsetiere by Beir's Department Store and later by Stines Corset Shop. She retired three years ago. Miss Oliver was the daughter of the late Lyman and Mary Oliver and was the sister of the late C. Eugene Oliver. In addition to Mr. Oliver, survivors are another nephew, Harold S. Oliver, and a niece Miss Elberta H. Oliver, both of this city. The following appeared on 6 December 1964 in the Niagara Falls Gazette: Mrs. Blene Oliver, 86, mother of School Supt. Weldon R. Oliver, died Saturday night (Dec. 5, 1964) at the Margaret Clare Nursing Home in Chippawa, Ont., after a long illness. Prior to entering the nursing home, Mrs. Oliver resided with her son and daughter-in-law, Mr. and Mrs. Oliver, at 3783 McKoon Ave here. Mrs. Oliver is a former resident of Lockport. Funeral arrangements are being made by the Spallino Funeral Home here. Weldon Read Oliver died on 11 January 1976 at age 71. Glenna Lowella Treichler became a widow at his death.